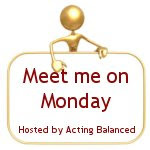 I am participating in a fun hop hosted by Acting Balanced. Here are the questions and my answers. Feel free to answer in the comments section or link up the answers from your blog. What is your least favorite TV program? What 3 places are on your bucket list to visit? 3. My least favorite TV program would be things that my daughters seem to be drawn to that have teenagers having relations that they should not be at such an early age. 4. If I wrote a biography it would be called " Raising me to Raise 8"
5. The three places on my bucket list are taking the kids to the Tulip Festival, and other than that I have no clue. I really am not that into travel. Your two soups sound so YUMMY!!! and making me hungry! Became a NEW follower, come by and visit anytime. Just found you on the Mommy Blog Hop, I'll poke a round a little more, you have some great ideas. my kids hands down favorite soup too!